The Shimano DX Single Sprocket MX66 is a Single sprocket for BMX or single speed use. Disappointingly the 16t I ordered was out of stock but Tredz got more stock within a few days and sent mine out on a 24hr post. The sprocket itself is exactly what I wanted and expected from a brand I have known and used for over 33yrs. 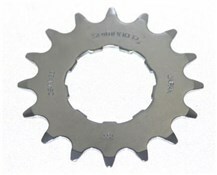 I have purchased this 18 tooth single sprocket in order to modify the gearing on my 5 year old boys kettler pedal kart. Currently it has a 24 tooth chainring and the gearing is too high for using on anything but smooth concrete or tarmac. 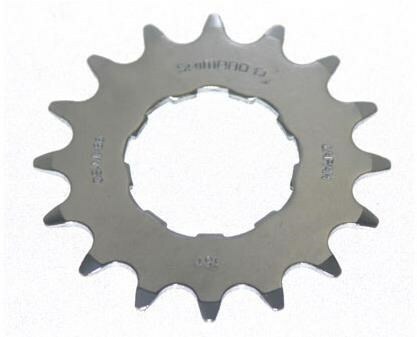 This shimano 18 tooth sprocket came through the post after a couple of days, was well packaged and is of the quality you would expect from shimano. I would recommend buying from tredz as the process was really simple and efficient.